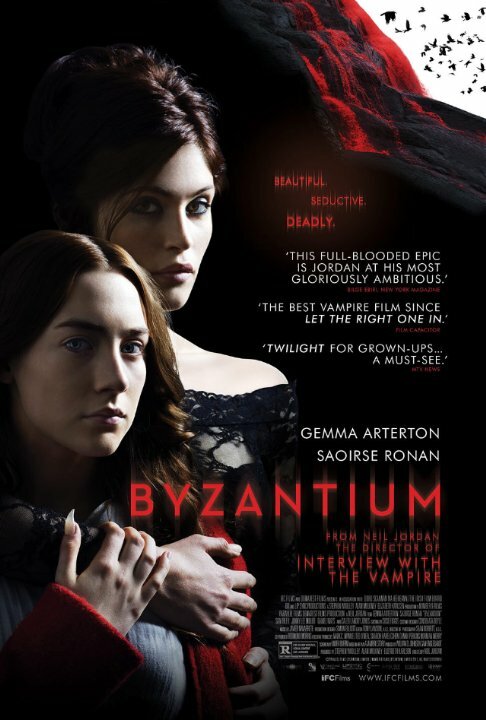 I came across the preview for Byzantium several months ago on Amazon. Recently, I finally managed to get the DVD and found that I liked the film very much. It is directed by Neil Jordan, who also directed another of my favorites The Company of Wolves, and more recently wrote and directed Ondine. The story focuses on Eleanor, a young girl, and her mother Clara. Both women are “sucreants,” which turn out to be similar to vampires, since they survive on human blood. There are, however, some differences: they are able to walk in daylight, they don’t have fangs (rather, they have interesting super sharp thumbnails that they can grow out at will), and they were not “made” by another of their kind. This last creates the main part of the plot, which centers upon a cave located on a secret island. Sucreants are created by a human entering the cave on this island where they face their dark selves and are reborn to live forever, never aging. There are rules about who may use the island. The main rule is that sucreants may not create others at will – there is a council that makes these decisions. Clara broke this rule when she took her daughter, Eleanor, to the island, and so the women have been pursued by the council for centuries. 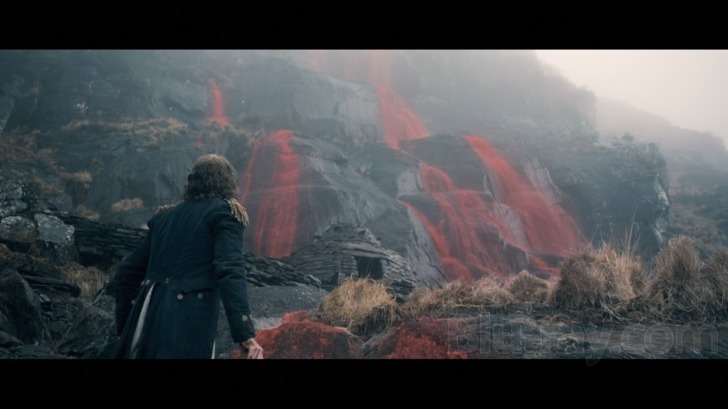 The movie is beautiful, with crumbling buildings and lots of rich colors, especially reds. We see things mainly from Eleanor’s point of view, and she is a gothic-type heroine, tormented by her fate and the inability to tell her story to anyone. In order to deal with this, she repeatedly writes her story down and then crumples the pages, casting them to the wind. Saoirse Ronan plays Eleanor as a tender, solitary soul. one who feeds only on those who are old and done with life. Clara, played by Gemma Arterton, is in contrast a born survivor. Forced into prostitution as a young girl, the change to sucreant was for her life-saving, and she continually uses her feminine wiles to provide for Eleanor and herself. Clawing and scraping to exist are what she knows best, and the moments where she shows tenderness for anyone other than Eleanor are suspect and tinged with self-interest. This is a woman who is all about survival. The men that both of these women meet in the present are a contrast to those from the council that pursue them. Both are caring but weakened. Noel (Daniel Mays) is recovering from the recent death of his mother and wants to protect Clara and Eleanor. He provides them a place to stay in his mother’s old rooming house, Byzantium, which Clara promptly begins turning into a brothel. Frank, played by Caleb Landry Jones, is a young man who comes upon Eleanor as she plays piano one evening. His fine features and lovely broken voice enhance the vulnerability of his character, who is also a hemophiliac. The story is told both in the present and in flashbacks that explain the history of Clara and Eleanor, and history and the present meet up at the end in a final conflict that will change both women’s lives forever. I found the movie to be beautiful. The pace is slow and dreamy, but if you are a foreign movie fan you will not find this to be a detriment. While the needs and lifestyles of the sucreants drive the plot, the character development is still well done. I highly recommend this film if you are looking for a new twist on the vampire trope!